3521 and 3523 Wynkoop Street are a modernist’s dream, consisting of two single family homes with walls of windows and soaring ceilings. Conveniently crafted, this project is conceptualized as one vertical unit and one horizontal unit – both including spaces that can be used as an on-site gallery and workshop. 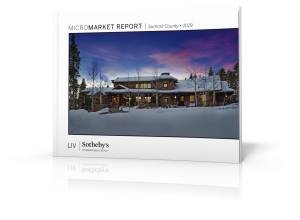 Priced at $1,050,000 (3521) and $1,150,000 (3523), these stunning homes are listed by LIV Sotheby’s International Realty broker Christine Nicholson. “This is a unique opportunity to own a modern, light-filled, extraordinary tandem home in RiNo (River North Art District). Living in this area you will enjoy ‘First Friday’ gallery nights and all of the new businesses, restaurants, brew pubs, and distilleries that are opening monthly,” said Nicholson. “We opened Plinth Gallery in 2007 and as early pioneers in RiNo, we had a vague idea the area was home to the arts. After a few years watching the changes, the revitalization of the Brighton Blvd Project and subsequent development, we decided to build something on our property that was a unique residential opportunity. We reached out to Brad Tomecek of Tomecek Studio Architecture and they helped guide us in our vision for the site. 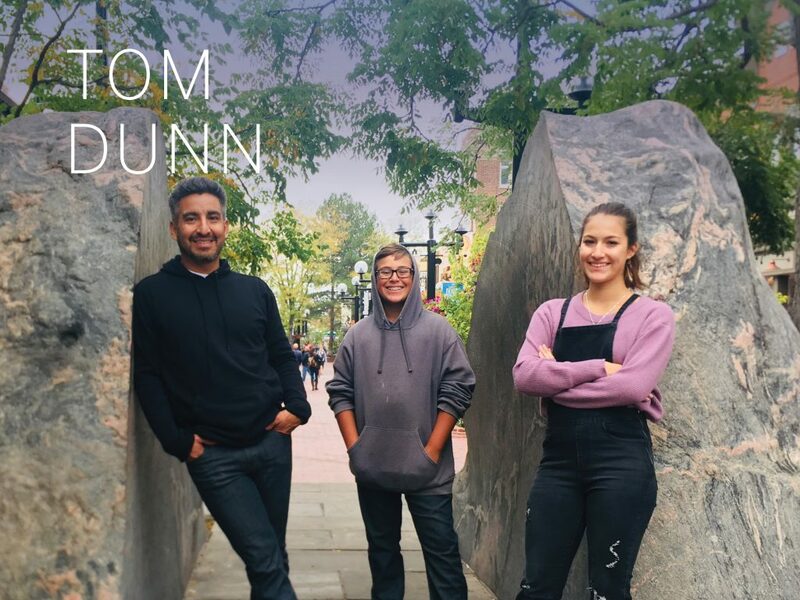 Between their expertise and the attention to detail by Douglas Construction, we are very pleased with the end result and look forward to welcoming the new occupants to RiNo,” added Bensusan. Presenting one-of-a-kind floor plans, the project’s design takes cues from the local surroundings. The exterior is a mix of treated and untreated steel siding, welcoming a creative concept as a nod to the local artists. 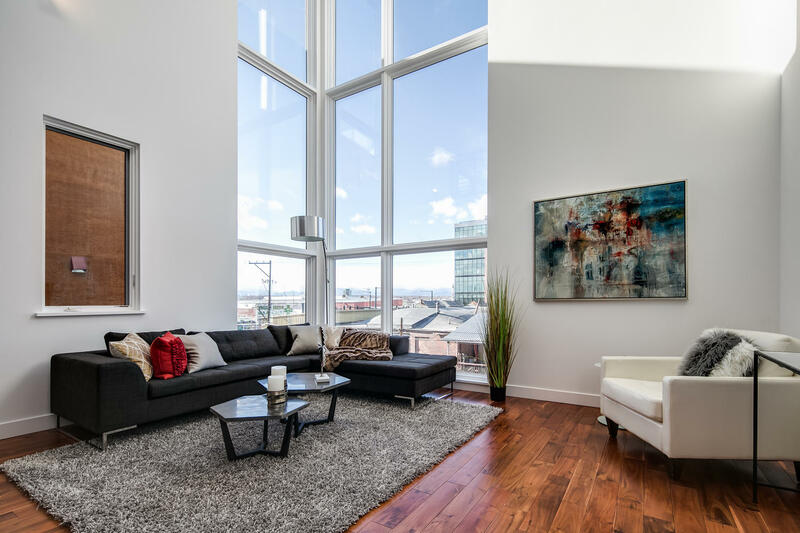 Truly unlike any other home, the vertical loft (3523) reveals endless rooftop and downtown views while the horizontal unit (3521) is designed for a larger family and offers a large green space. Each of the homes tell a unique and individual story, perfect for buyers interested in transforming the space into their own artistic sanctuary. Both homes include a main floor “gallery” space as well as a private studio work area, and bath. 3521 is a total of three bedrooms and includes one bedroom on this main level. The second level for both homes includes an open-concept kitchen, a dining area, a living room, and a bedroom with a full bath. The third levels open up to sitting areas and the master suites, and to top it off, 3523 expands to a fourth level with dramatic views. Both designs include stunning views and are complete with garages. 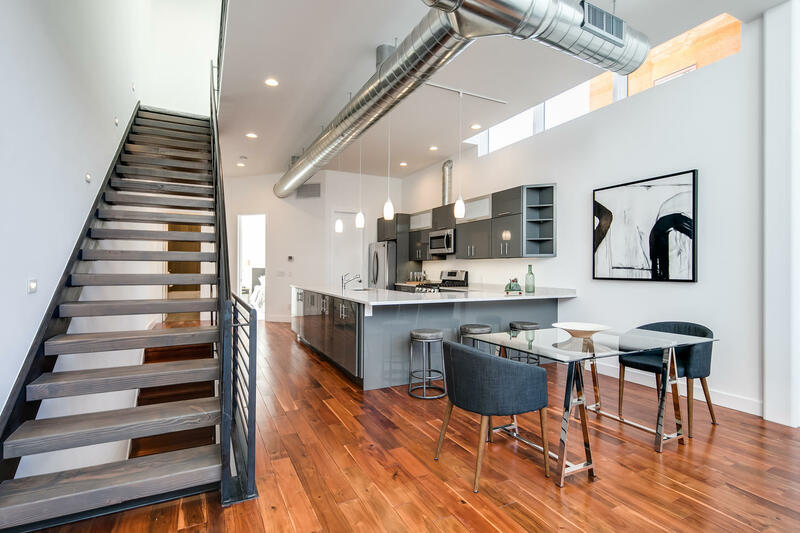 Centered in RiNo, these two homes are less than half a mile from Zeppelin Station and the bridge to the Light Rail, as well as all other attractions within RiNo. Wind-down at Bigsby’s Folly Craft Winery & Restaurant, enjoy all of the offerings at The Source, have a romantic dinner at Acorn, indulge in a craft beer at Great Divide Barrel Bar or Blue Moon Brewing Company – the opportunities are endless when living in this lively neighborhood of downtown Denver. 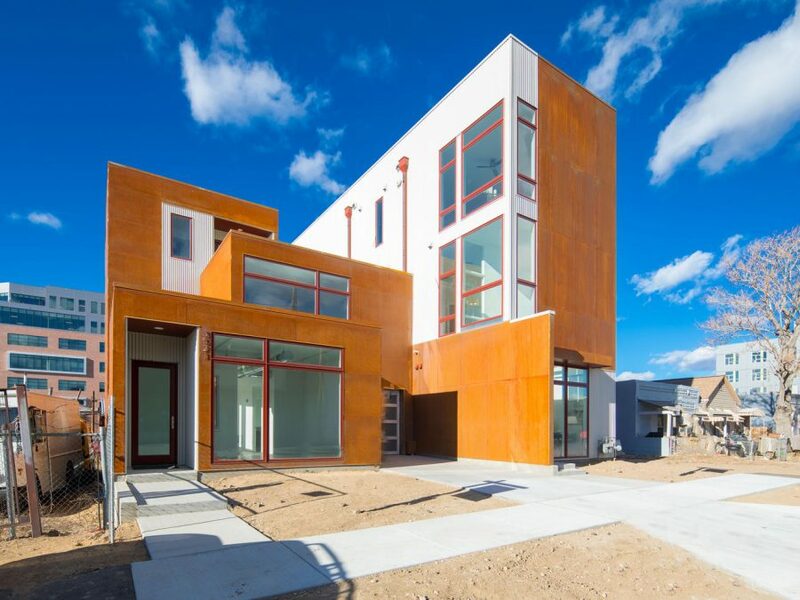 Live and work in the center of the RiNo art world. 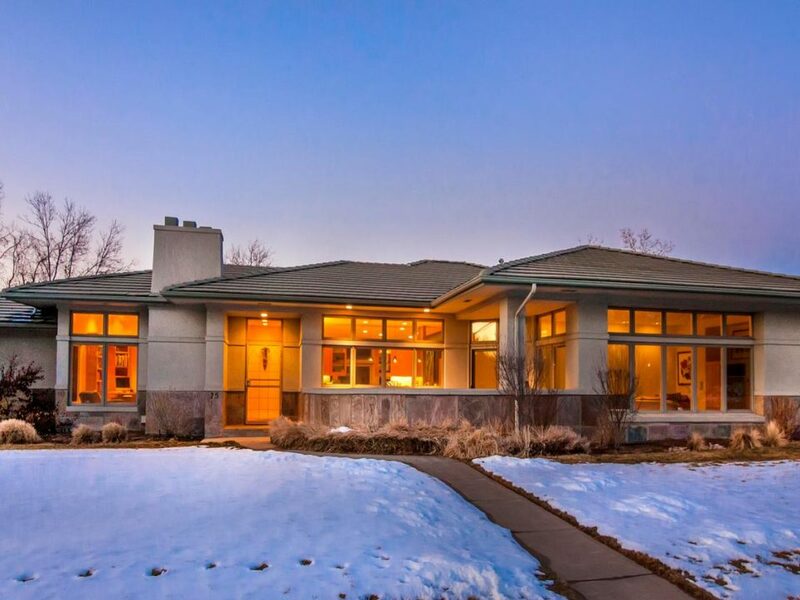 Contact Christine Nicholson today at 720.319.5591 or CNicholson@livsothebysrealty.com. To list your home for sale with LIV Sotheby’s International Realty visit www.LIVSothebysRealty.com.